General eye care services for the whole family. A child’s eye exam should be more than just checking eye health, reading the eye chart or picture chart, and measuring the refractive error (nearsighted, farsighted, or astigmatism. Achievement in school requires good focus flexibility, tracking skills, and normal eye coordination or binocularity. Not all children develop these skills naturally. There are vision problems that only vision therapy can address. The National Eye Institute, a division of the National Institutes of Health for the U.S. Department of Health and Human Services, had released a statement concerning the effectiveness of office-based vision therapy for treatment of Convergence Insufficiency (CI). The NEI-funded study compared the effectiveness of treatment options for CI. This was a collaborative study involving six optometry and three ophthalmology centers, it was placebo-controlled with randomized clinical trials. The conclusion was that Office Vision Therapy should be the first line of treatment for CI. Convergence Insufficiency can cause focusing and attention difficulties at near, making it extremely difficult to maintain concentration on written work. Amblyopia, also referred to by the public as “lazy eye”, is a unilateral or less commonly bilateral condition in which the best corrected visual acuity is poorer than 20/20 in absence of any obvious structural anomalies or ocular disease. Amblyopia is associated with strabismus (an eye turn) and/ or anisometropia (unequal refractive status between the eyes). 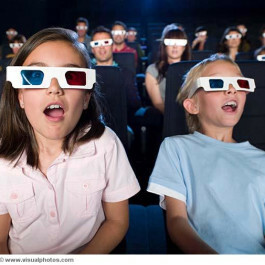 Amblyopia is the BRAIN’s response to the imperfect and unequal visual input received from the eyes. A common treatment is patching. Patching is a form of penalization to the better seeing eye. Patching can be effective in which most amblyopic children can show improvement in visual acuity….. but not all patients. An approach, coming from vision therapy, is to not center treatment of the amblyopia as a monocular problem but to treat it as a binocular problem. The binocular approach emphasizes the integration of the visual inputs in the BRAIN to form a 3-dimentional world. This approach will improve the overall visual ability of the child and not just the ability to read letters with one eye covered at the doctor’s office. Visual information processing problems may result in children being overwhelmed the day they start school. The academic curriculum is designed on the assumption that children possess certain visual information processing abilities, as well as other skills, at certain chronological ages. In other words, is the child visually ready for school? The child who has not developed the required level of skill may have difficulty from “day one”. These difficulties might manifest themselves as problems in reading, writing, mathematics, spelling, thinking, sports endeavors, playground activities, and even the social relationships children have with their siblings and peers. There are numerous research and clinical studies demonstrating the effectiveness of optometric vision therapy for treating problems in the functioning of the visual system. Studies have also demonstrated visual deficiencies and visual information processing deficits in older individuals, supporting the fact that children do not simply outgrow these deficits. 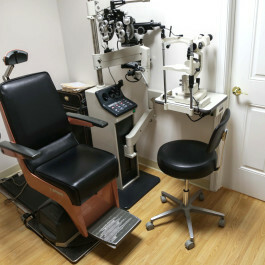 An eye exam is comprehensive only if the exam completely covers all aspects of visual health and well-being. What is commonly done is an assessment of internal and external ocular health and determination of the patient’s refractive error (nearsighted, farsighted, and/or astigmatism). To be truly comprehensive there should be a determination of any hidden binocular disorders (eye teaming problems) and accommodative disorders (focusing problems) not just the ability to see the eye chart across the room. Following a Comprehensive Exam a Contact Lens Exam is done to determine if contact lenses can be prescribed and worn successfully or not. The optometrist should evaluate the corneal structure or topography, the scleral and eyelid conjunctival integrity, and the eye’s ability to produce and adequate amount of tears. After that, a possible lens that would meet the patient’s needs is determined. Soft lens determination often starts with trial lenses before the final supply of lenses are ordered. Rigid Gas Permeable Corneal Contacts, Bifocal/Multifocal Contacts, and fitting for corneal disease such as keratoconus is not unfamiliar and, in fact, welcomed by Dr. Joseph Pederzolli at the EyeCare & Vision Therapy Ctr. These are challenges that most optometrists do not want to confront. People that are hard to fit require additional diagnostic time in the doctor’s office. Dr. Joseph Pederzolli specializes in treating patients with special needs including special contact lens patients. Low Vision is the treatment and care of people with inferior visual acuity or sharpness of sight due to a disease process such as macular degeneration. It is the optometrist’s role to evaluate the overall visual losses and to determine the lens system that would aid the patient in achieving his or her desired goal(s). The lens system could range from a spectacle mounted microscope, a spectacle mounted telescope, a hand or stand magnifier, a closed circuit camera and computer screen, or even a high tech digital hand-held magnification device. Low Vision patients are often referred by a retinal specialist and occasionally by their general ophthalmologist.